This free cats and dogs themed I spy printable for kids is a perfect way to work on a variety of skills! Do your kids love cats and dogs? 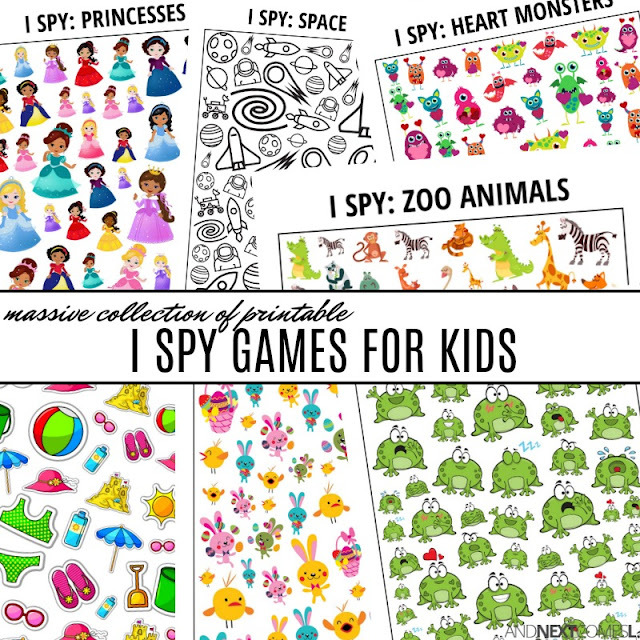 Then they're going to love this free printable cats and dogs themed I spy game. With six different types of dogs and cats to find, it should keep them busy and counting! 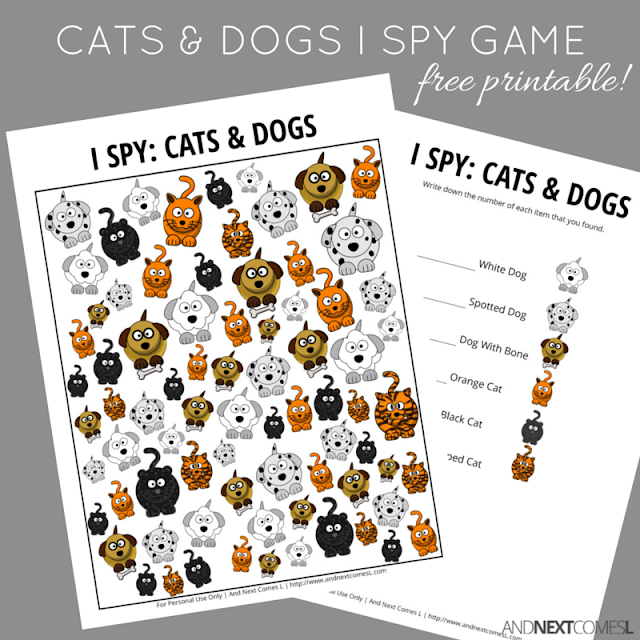 I Spy printables like this cats and dogs themed one are great for providing visual sensory input to kids, making them a great choice for visual sensory seekers. They also help develop a child's visual tracking ability and improve visual discrimination. This printable requires kids to visually scan through the objects and find ones that are the same.